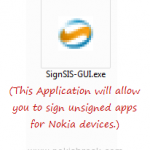 Removing or to uninstall apps from Nokia phone is a simple task. 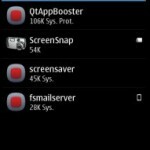 Here, we are going to guide you how to uninstall or remove any application from your Nokia Anna, Belle or Symbian phone. 1. Go on the Menu of your Nokia Phone. And Tap on the Settings Icon. 2. In settings Menu, Tap on the Installations option. 3. Now, Tap on the Already Installed option (to see the list of applications installed on your phone). 4. It will scan your Internal and external memory of your Phone for installed applications. And then it will show the list of Already Installed Applications or games on your Phone. 6. Then, Tap on any of the Application that you want to remove. When you will Tap a menu will appear with an option of View Details and Remove. Simply click on the “Remove” option to continue un-installation process. 7. Now it will ask you to confirm and continue the un-installation process. Simply Tap on the “Yes” button to continue. 8. On the next screen you will see Removing with progress bar. This is the alternative and easiest method of removing any application from phone. 1. Open your Phone Menu. 2. Then, Tap on the Icon of the App to uninstall. A popup menu will appear with an option to “Delete” the Application. Once application un-installation progress is done your application will be removed from your phone. Note: Take a backup of applications using the Nokia Suite if the Application you are going to install is a Paid Application or game. Otherwise you can download it through Nokia Store. 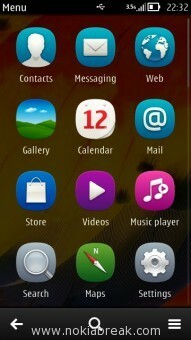 If you want to learn how to install Application in Nokia phone, then see How to install apps on Nokia Phone.